When one of your faves go on sale, you stock up! 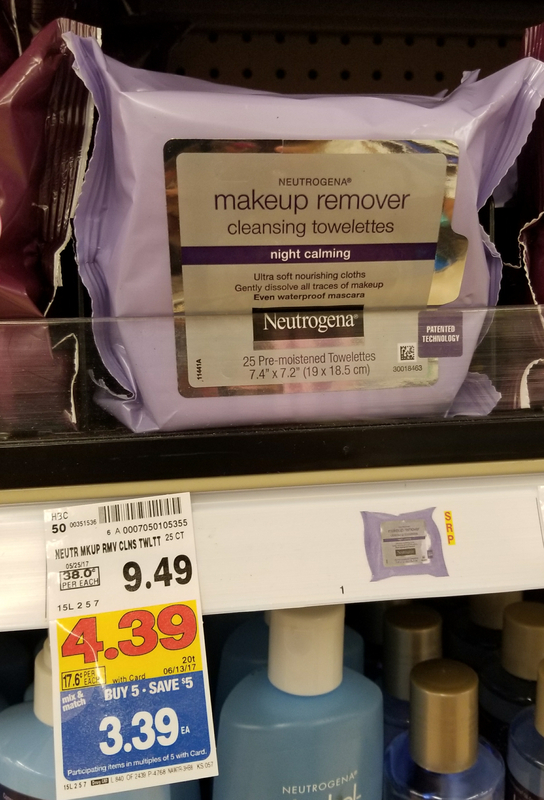 With Kroger‘s “Buy 5, Save $5” promotion, I saved 75% off retail for the Neutrogena night calming towelettes! The item was marked down over $5 prior to the promotion & included another $1 off when added with eligible items. I saved $7.10 off the retail price! Hurry, sale ends June 13, 2017. Next Post His&Hers body wash for 24 cents each!